rear of a vehicle. The HI series' main advantage is that it offers the same power and durability as the H-Series but is slightly more affordable and easier to install. The solenoid control valve is integrated into the winch body, and therefore always remains in the same location as the winch itself. These systems include all necessary hoses, solenoid control valve, remote control, roller fairlead with fasteners, and winch cable. The installation of one of the HI Series models (HI9000, HI10500, and HI12000) requires a vehicle specific 35-Series valve adapter kit. The Mile Marker H Series Hydraulic Winch has the solenoid control valve remotely mounted away from the winch by the means of hydraulic hoses. This allows for more freedom in mounting options and results in an even more durable reliable option as the solenoid control valve(the only electrical component) can be place high up under the bonnet further protecting it from the elements this means they are fully submersible! Only the H-Series winches can be mounted as a detachable system and are also sort after by experienced off road enthusiasts as they can be easily powered by engine or PTO pumps. Some even prefer to replace the solenoid valve with a bank control valve which completely eliminates and electronic components. The installation of one of the H Series models (H9000, H10500, and H12000) requires a vehicle specific 34-Series valve adapter kit. 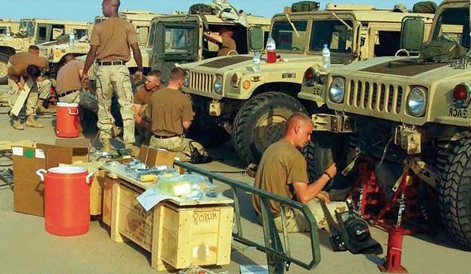 There are adapter kits available in order to connect the winch to a specific vehicle brand. 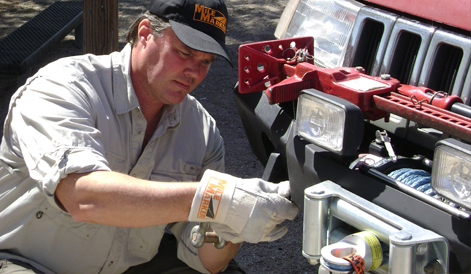 All Mile Marker Hydraulic Winches require a vehicle-specific adapter kit to tap into the existing power steering system. 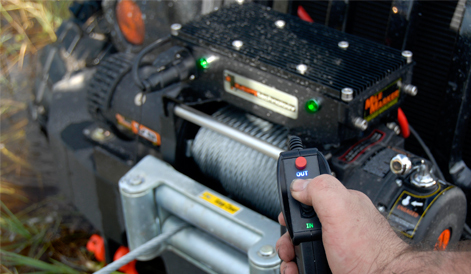 This continuous power supply allows Mile Marker Hydraulic Winches to pull nonstop! No.34 Kits - Included in Kit: 12 ft. lead remote control, All hoses and fittings included, Power in and Power out, Remote Solenoid-activated control valve (draws only 2 amps), Adapter for vehicle specific power steering pump. Rated to 7 GPM. Required for H Series Winches. No.35 Kits - To be used to adapt power steering pump to HI Series Winch System. Includes vehicle specific power steering pump fittings and adapters. 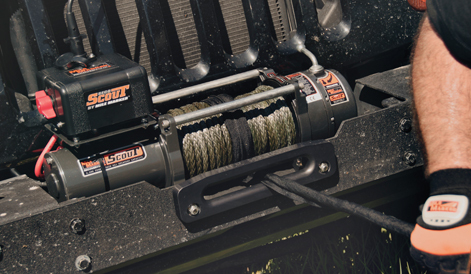 If you have a Mile Marker Hydraulic winch and are uncertain as to which model you have simply measure the size of the motor on the side of the winch. Measure from the base where the winch is bolted to the end of the motor - Simple! Always have your hoses made up by a hydraulics specialist. When selecting a replacement hose be sure to measure the inside and outside hose diameters with a precision calliper. You have to take the outer diameter of the hose into account when you have support clamps or the hose goes bulkheads. When you need to replace a hose assembly, cut the new hose to the same length as the replaced hose. Using hose that is too long in an application with moving parts may pinch or severe the hose. Using hose that is too short may cause hose the stretch or contract. Changes in hose length when pressurized range between +2% to 4% while hydraulic mechanisms are in operation. Consider possible hose shortening during operation; make the hose lengths slightly longer than the actual distance between connections. Working pressure of hose and tubing as to be greater or equal to your maximum working pressure(Including pressure spikes). Be certain that your hoses are rated to at least 3000 psi. Avoid damage to the hydraulic hose assembly by avoiding sharp bends and kinks when routing the hydraulic hose assembly. 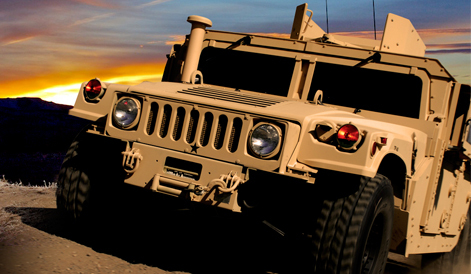 Using a bent or kinked hydraulic hose assembly will cause severe back-pressure.